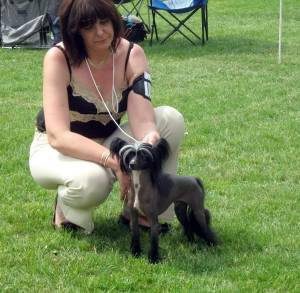 Chinese Crested Hairless dog I saw for the first time many years ago in a Dog encyclopedia. It was a love on first sight. 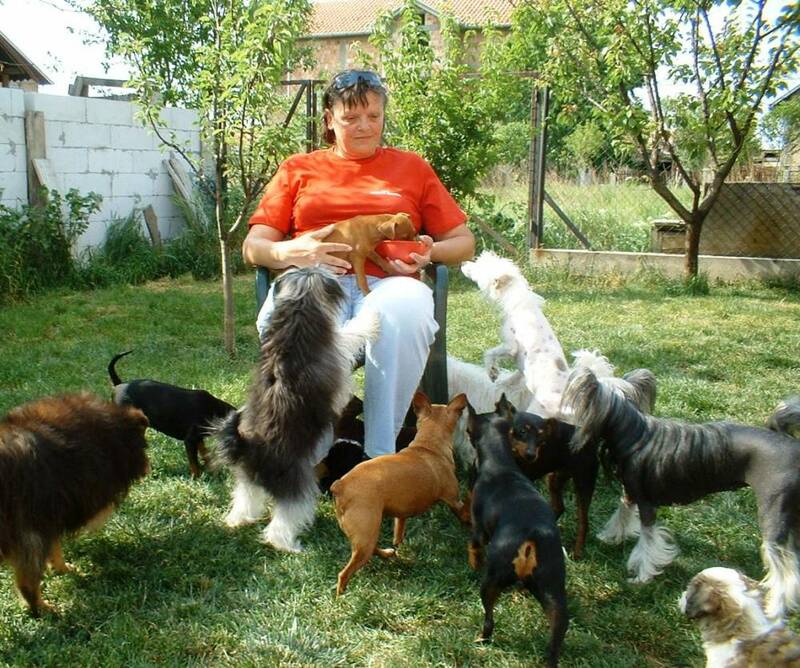 Then I told to myself, I will have this dogs or I will die. Well, I'm writting this so.... I have them :) . Breeding Chinese Cresteds is not easy thing, especially in a country where people like big rases. We are pionirs with this rase, in our surronding. We breed quality and healthy dogs first of all, hopefully with show potential too. Happiness and friendly character of these dogs took our hearts for ever. We follow our puppies in their homes too, do help to their owners in all they need. When our breed dogs win on shows we are happy and proud but that is not most important, health, good home and good life is counting the most. My big support and "right hand" and co-owner ofr all Cresteds is my sister Jelena Stevanovic. She felt in love when met my first Cresteds. Her first Crested female was our Altina Nera Mali Zmaj, my present to her. Altina took her heart for ever and also hearts of all memebers of my sister's familly. Next our nacked boy Falco Certova Stena (import from Czech) went also to her home. He still lives there like a king. 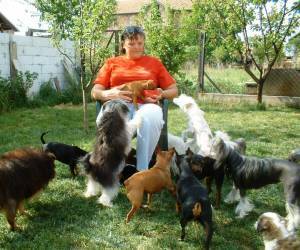 Now, all our Chinese Cresteds dogs are in my and my sister's Jelena coownership. Some live in my home, some in her. I hope you will enjoye in our Cresteds just as we do. Welcome to come again to see our updates.